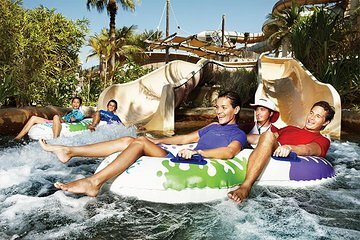 If your idea of water fun is wild and wet, look no further than this day trip to the Wild Wadi Waterpark in Dubai. One of the biggest waterparks in the Middle East, the attraction boasts enough slides, rides, wave-making machines and surf pools to keep all the family entertained. Feeling particularly adrenaline-deprived? Test your bravado at Jumeriah Sceirah, the park’s thrilling free-fall waterslide. Round-trip transport from Dubai is included with your park entry ticket.